How to ensure your wedding stands out! So, your special day is probably fast approaching and you’re finalising your arrangements with the decorations, band and wedding planner. You’re probably wondering if there’s something missing but can’t quite put your finger on it! Your wedding day doesn’t have any entertainment during the day to make sure that your guests actually enjoy themselves and remember your wedding day as being something different to any other wedding they’ve been to before. Wedding magicians are IN right now! You’ve probably seen or at least heard of Dynamo as well as other popular TV magicians performing close up miracles such as Troy, David Blaine or even the array of different magicians in the finals of Britain’s Got Talent in recent years! 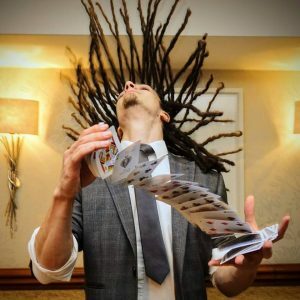 Magic is no longer only used at children’s Birthday parties and Las Vegas illusion shows, there is a new age of wedding magicians, corporate magicians and street magicians who specialise in performing incredible modern close up magic right in front of your guests whilst still being funny and charming! So, what can you do to make your special day truly memorable? Hiring a good wedding magician could be the missing piece of the puzzle you’re looking for to make sure you create a completely unforgettable wedding day for you and your guests. 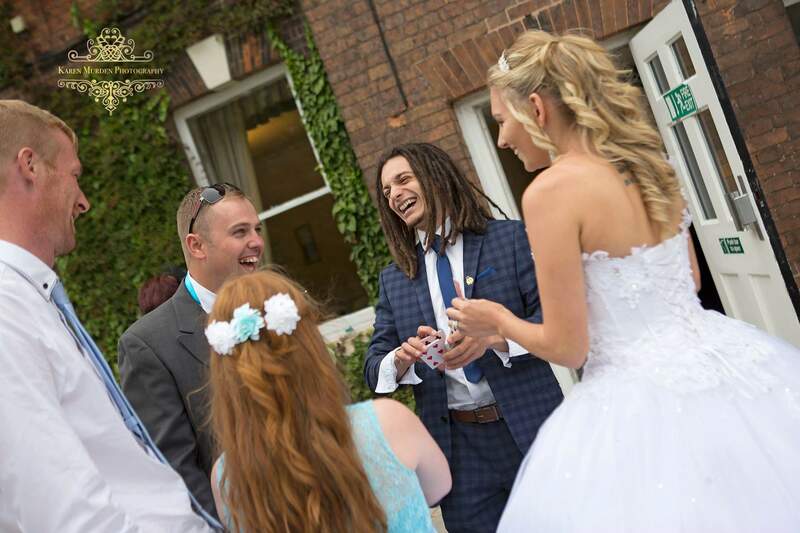 A professional wedding magician providing your entertainment is quite a modern yet extremely successful idea, as traditional wedding days can seem to lag and lack excitement. Guests mostly end up drunk by the time it gets to the middle of the afternoon because there isn’t much else for them to do. So hiring some unique wedding entertainment is a great way to keep everyone busy and out of mischief! You want to create a day that guests will remember for weeks, months or even years to come, don’t you? Read more about my wedding magician services then get in touch for a free quote! Wedding Magician in North Yorkshire Best times during wedding for a magician?